Windows users have a new option to rival Office Online after Apple made its entire iWork suite free of charges to non-Apple device owners. Any PC users wanting to take advantage of the new offering should head over to the iCloud Beta page where you can start using Pages, Numbers and Keynote right away by signing up for an Apple ID. Each new account comes with 1GB of free iCloud storage and even though it is currently only in beta, its popularity is likely to dictate that it hits the full version of iCloud in the near future. 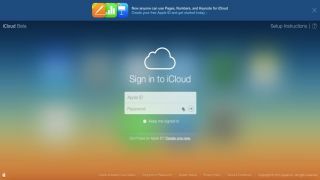 iWork for iCloud debuted back in 2013 and Apple has been steadily adding new features since then including design updates to go along with those made to its OS X and iOS platforms, and various small upgrades to each part of the suite. In comparison, Microsoft's Office Online suite offers Word, OneNote, PowerPoint, Excel, outlook.com plus 15GB of OneDrive storage for free to anyone that signs up to a Microsoft account.